National Geographic photographer and founder of SeaLegacy.org Cristina Mittermeier gets real about growing up as a rural Mexican woman to creating the field of “conservation photography” in the fight for sustainable life on Earth. Here, she gives an exclusive interview for Caught in the Act. On April 3, Cristina Mittermeier appears at The Straz as the final speaker in our National Geographic LIVE! series. She’s tied to the Tampa Bay area because her son is an Eckerd College graduate who recently moved from St. Pete to Miami. Mittermeier, born in Mexico City and moved an hour south as a child, grew up in Cuernacava, close to Ocotepec, a town occupied by indigenous people of Nahua origin. Through an incredible journey she details in this interview, Mittermeier became a world-renowned photographer whose heart-stopping images tell the blistering story of the consequences of climate change and the ultimately hopeful tale of the fragile, unequivocal interdependence of all life on earth. We caught up with her by phone to find out more about her and her work before she meets us At the Water’s Edge for her National Geographic LIVE! presentation in Ferguson Hall. CAUGHT IN THE ACT: Your images are so compelling, and your personal story is so compelling that we wanted to start at the beginning. Will you tell us a little bit about where you grew up in Mexico? CRISTINA MITTERMEIER: Yeah, my parents moved us from Mexico City to a smaller town up in the mountains called Cuernavaca, about one hour south of Mexico City. At the time that I lived there in 1976 it was a very small town. There were cows in my neighborhood. I walked to school through cow fields. So I had a very nature, outdoor childhood, but I don’t know where the love of the ocean comes from. I’ve always had this enormous attraction to the ocean. In high school somebody came to my school to talk about careers in science, I had the opportunity to go to a university that had a marine degree program that was called biochemical engineering and marine sciences. I had visions of swimming with dolphins, but it was really office work in aquaculture. So, I went to school to learn how to catch fish. CITA: Where you grew up in Mexico was a rural life, an inland life? CM: Very much so, yeah. It was very much part of indigenous communities around where I grew up, so I grew up with a lot of indigenous people that oftentimes didn’t even speak Spanish. CITA: For those of us who aren’t familiar with this part of Mexico, can you tell us who these indigenous people were and then what the language was that they were speaking and how this influenced you? Because, you would end up pursuing life with other indigenous cultures. CM: Well, first of all, I was raised by an indigenous woman from the tribe known as the Otomi, which are descendants of the Aztecs. CM: She raised me from the time I was a little girl. She came to work for our family when I was less than a year old. She left after I got married. So, I grew up listening to somebody speak a different language. In the community where I grew up, there were lots of different types of indigenous people and these indigenous communities are living cultures. Anyway, the village that I grew up next to is called Ocotepec. My house that I grew up in was actually on their land, and my parents leased it from the tribal council. So that was really fun. CITA: What kind of impression did this make on you as a little girl? Was there something in you that knew there was something so special about what you were experiencing? CITA: Our colonization story is very, very different because our indigenous people are scattered hither and yon and is such a dwindling population. Even in Florida, the study of our indigenous people is quite devastating; we only have a very small number that are left. CM: Florida’s a special case because it was initially colonized by Spaniards like Mexico was. The difference between the colonization in the United States, like the colonies, and the rest of Latin America was the Pilgrims brought the wives with them, so they didn’t intermarry with the indigenous population. Whereas, the conquerors from Spain who came to Mexico, they were just warriors, so they quickly started procreating with the local Indian women and created a new race. So to this day indigenous populations are very much intertwined into Mexican culture. CITA: And your family … did you have a big family where you grew up? Were they responsible for helping influence you on your very interesting life path? CM: No. I have a very typical Mexican family; my parents are professional, middle-class. My dad is an accountant, my mom has a PhD in Psychology. I am one of five children, so my parents were not particularly outdoorsy, but they were pretty good about sending us out to summer camp. I came to Canada as a teenager to summer camp, and I believe that’s where I really learned to be outdoorsy. To enjoy swimming in cold water [laughs]. CITA: So, you’re an inland person, you don’t have outdoorsy parents. Were you reading books? How did your mysticism, or your compulsion to be drawn to the sea … how was that sparked in you? CM: Actually, my dad bought for my older brother a series of books. They were these amazing adventure books written by an Italian writer, Emilio Salgari, who never left Italy, but he wrote amazing adventures about the Wild West of the United States. He specifically wrote a series of books on the pirates of Malaysia. I devoured those books because he wrote with incredible detail about these adventures at sea and these magical, tropical islands where these pirates were having all these adventures. I think that’s a huge influence. Sadly, those books were never translated to English, such a shame. CITA: Books shaped our entire understanding of reality, that’s why we love animals and the outdoors, because that was always what we were attracted to—far flung adventures with animals. CM: Because my mother was an intellectual, we had a good library at home. She brought home Paul Ehrlich’s The Population Bomb. CM: Oh, yeah. By the time I was 14 or 16, I was reading books like that and it really—I’d say, scarred me and terrified me. CITA: One of the things that we really like about you is that you live in a lot of different worlds simultaneously. You talk in interviews about being both a scientist and also being an artist. So, can you talk a little bit about how your training as a scientist and as an artist informs your approach to photography? CM: Yeah. So, I went onto these universities thinking that I was gonna go swimming with dolphins and what they were teaching me, really, were the industrial practices of fishing. So it was very upsetting to me as an animal lover to go on those fishing boats and see all the bycatch: the dolphins, the turtles and all the animals that die so that we can eat fish. I always knew that, that’s not what I wanted to do, but I also knew that, that’s the thing about fishing, especially aquaculture projects—whenever they’re done properly, they are truly the answer to save humanity. And so that was inspiring. [laughs] What was the question again? CITA [laughs]: How your training as a scientist and as an artist informs your photography. CM: Yes. So, when I left university, my first job was actually not in fishing but coastal work in conservation. I honestly thought that if you wrote scientific papers that were going to be, just, incredible, people would go, “Of course. This is what we are going to do.” But it takes time, a year or two collaborating with other authors and writing scientific papers that nobody reads. So I was very frustrated. I stumbled upon photography by chance. I’ve always liked art. You know, I was always a doodler as a child, I was painting and doing little crafts and projects. When I found photography, it just became this great outlet to showcase what I thought was really urgent. I’d always have to be informed by science. Photography is a great combination of art, science and conservation. It has to be beautiful. If I’m able to make three or four of those pictures a year, I consider myself really lucky. The photographs have to tell stories. They have to draw people in. When you show somebody a photograph, people are much more likely to want to engage in dialogue in asking you about what they’re seeing, which doesn’t happen with science. So, that was like a big, “Aha!” moment for me. CITA: How did you find photography? Did somebody just give you a camera? Or, you saw some photographs and thought, “Wow, I’d like to do that”? CM: My first husband is a collector, and he always has a camera with him to document the data he collects. Very, very early on in our marriage, I was 24, 25 years old. I was literally carrying his camera for him. We were visiting a small village in the Amazon so I snapped a couple of pictures. When we came home, [a museum held an exhibition] on the Amazonian arts, and they wanted images from this particular village. So he sent a box of slides. When we showed up for the opening, on the walls of the building, was my picture. And it was credited to him. CITA: Are you kidding us? CM: I know. It was a picture of a man wearing a headdress standing in front of a dark background. I thought, “Wow, that’s beautiful. I didn’t know that a camera could do that.” So, I went back to school, I went back to the Corcoran College for the Arts. At that time, I was already a young mother of my two children and then from my ex-husband’s first marriage we had a third one, and you know what? I wanted out of the house. [laughs] I went back to school get away from those children. CITA: Honey, we hear you. CM: But that was great, to be able to go back to school to learn a new way of looking at art. I was incredibly lucky, because my ex-husband was president of Conservation International and that was my first job out of university so I met him. When we married and moved to Washington, DC, I couldn’t continue working for Conservation International because there was a conflict of interest. But, the CEO of the organization, Peter Seligmann, is a very generous and wonderful man because he allowed me to volunteer. We traveled a lot, visiting a hundred countries … I had my camera, so I could take all these pictures of places where Conservation International worked. I started donating my images to them and then writing an article for them. Over time, they hired me back, and I became the director of visual communication. I basically brought the idea that visuals are really important to conservation. At that time, most conservation organizations didn’t even have a budget for proper visuals. So, I was able to pioneer the idea that people only care if they see something that’s really compelling and beautiful. So that was kind of the like, the journey into photography. Then as I became more and more involved in the world of nature photography, I started attending conferences. Hundreds of photographers would go to these conferences—they were interested in talking about filters and about the latest camera. I wanted to know, could we use our images to try to save the places where we were photographing? I was told, “No.” People didn’t want to get in the environmental arguments. So, you know, I said. “Okay, I’m gonna create my own organization” [The International League of Conservation Photographers]. CITA: So, help us understand. This is the 80s, early 90s. What was the driving philosophy to distance yourself as a photographer from conservation? As a photographer, you just document, you don’t get involved? CM: Well, no … I mean, what I was witnessing was something really interesting. There were a handful of photographers that were making great contributions to conservation with their photographs, like Nick Nichols, who would walk 2000 miles from Cameroon to Gabon following elephant trails to get people to make a national park. He was a nature photographer. Then there were little old ladies at the same conference with their camera, taking pictures of flowers in their gardens. They were called nature photographers. I said, “Well, you know, there’s a huge discrepancy here. This man is actually using the camera for conservation.” So, I coined the term “conservation photography” and I wrote up a peer-reviewed paper about what it is and how it’s different from nature photography. That gave birth to a whole generation of photographers who, today, call themselves conservation photographers. CITA: That’s extraordinary. Let’s follow up with this idea of visual storytelling: When you’re looking at your images, what makes a picture a visual story? Do you also think about things like tension? Characters? What role are light and shadow playing? CM: I come from the school National Geographic storytelling, and I’ve had a very close relationship with the director for many years. As the photographer, you had an opportunity to have, maybe, twelve photographs. Eighteen, if your story is really good. In those twelve photographs, you had to tell the whole story. So there’s a narrative that has to be built. You have to have a sense of place; then, you have to establish who your characters are. Then you have to give them a context and some action—then you have to sew some details. So, there’s a methodology for telling stories with pictures, but every single picture has to do a lot of work to complete the story. The best pictures are the ones that can tell the whole story in just a single image. Those are the ones that become really iconic. If I say, “Vietnam War napalm,” I know the image that’s in your head right now because that is the storytelling image that tells the entire story of how the Vietnam war came to an end. Those images are really hard to make and hard to find. CITA: You said earlier that you probably end up with three or four pictures a year that meet these criteria. How many photographs do you think you take in a year? CM: Oh, I take hundreds of thousands, and they say that the better the photographer, the bigger the trash bin. Last year, I probably made two or three images that I really liked. But, there’s one in particular that stood out and that was that photograph of the starving polar bear. That photograph is one of those iconic images that tells the whole story in one image. Climate change is going to have an effect on wildlife and this is what it’s going to look like. What you want to achieve with a photograph like that is for people to recognize the pain and suffering of this animal, in ourselves. To know that if we don’t do something about climate change, this is gonna be the future, not just for polar bears but for us as well. An image like that, hopefully stops people in their tracks and makes them ask questions that sometimes are painful and difficult to answer, but hopefully creates debate and hopefully becomes burned into peoples consciousness so that, ten years from now when we look back at an image like that, we’re able to say, “Yeah, that photograph helped turn the conversation on climate change and move it into a different direction.” As a photographer, you cannot ask for much more. CITA: Cristina, that photograph—we’re gonna be honest with you, because we don’t have any separation between ourselves and animals. When we saw that photograph, we were filled with the sense of internal shrieking of despair. We felt overwhelmed that– “My god, this problem is too big. What could we possibly do?” You know, it just feels so inevitable that we’re on the path that this polar bear is already experiencing. So much of your work is about helping people to act, to see these images and to act for change. But, how do you find hope? How do you keep going? CM: Because I know that we already have a lot of the solutions in place, and the reason they’re not happening is because we don’t have the political will to make them a reality and political will is driven by public opinion. We are engaging a huge number of people in the conversation about what’s happening to our planet through photography. We’re asking people to join the tide, to join the membership [of SeaLegacy.org]. It’s a monthly membership where people donate however much they can. Some people give us three dollars, some people give us a thousand dollars a month. But, that money we’re investing into solutions. Last month we invested thirty thousand dollars in the prototype of a coral reef regeneration unit made out of a special cement that has nano-materials, super high-tech, to regrow coral. So, if it works, we’re going to be replanting a million head of coral in the Caribbean. That’s just one example. CM: I know. We are looking at permaculture that’s revitalizing coastal ecosystems like mangroves and kelp forests, 3D ocean farming, … this is where it all comes together, you know, all those years of studying aquaculture, we now can apply that knowledge to aquaculture in modern times. All of these things already exist, they’re in a book by Paul Hawken called Drawdown which talks about all the solutions to start pulling carbon from the atmosphere. The other thing that people should be talking more about is the fact that there’s already a third industrial revolution happening. Entire economies, the European Union and China have already transitioned their economy into a fossil fuel free economy. They’re transitioning to renewables and here we are in the United States, arguing about pipelines and fossil fuels, you know? Which is the technology of the dying industrial revolution. So, we need to shift the conversation. We need to change the story, and I do that with photographs. We are going to transition. CITA: That gives us hope, especially here in Florida, as a state surrounded by ocean. Our economy depends on the health of our water, the health of our ocean and on our aquifers and we’re still struggling, you know? In the old industrial revolution, the old political development model, trying to shift our conversation to exactly what it is that you’re talking about. So, to know that on an international level, everything is already in place, it’s like, “Okay, so we just have to get from where we are to where you are.” Which is exciting. This is very exciting. CM: Yeah. Yeah, exactly. But, you know, there’s a lot of hope when you think that Germany already has thirty-five percent of its entire energy come from renewables. Where I live here, in British Columbia, ninety-five percent of our energy is non-fossil fuel. It comes from hydro-electrics [and other sources]. So, it’s happening. We just need for it to happen faster. CITA: Alright, so we’ll leave this last question open to interpretation. Is there anything that you ever want to talk about that you don’t get a chance to mention in interviews like this that you would like to mention now? CM: That’s a very interesting question. Um, you know, I think because we live in the era of the internet, people look at my career and the only thing they see is a highlight reel. They see the successful career, you know, these contributions and achievements. But, behind the scenes, of course, there’s the long journey of the struggling photographer. All the rejections, the letters that you send to editors that are sent back. [My career] hasn’t been free of bumps and I think, to be a successful photographer, I … lost my first marriage, and I feel like I hugely neglected my children. CM: Those things are never talked about. It’s never easy to be a woman or a Latina, a minority and forge a trail. So, it hasn’t been without its struggles. It’s wonderful to be in this place where you finally get recognition and get the microphone to share some of these idea, but I guess what I’m trying to say is, to all those new photographers out there beginning their careers and thinking that it’s never gonna happen, you just have to stick with it. Find purpose. CITA: To your point about blazing your own trail and having to make sacrifices that defy cultural expectations … What would you say to other women who are going to listen to this interview or read this interview, who are thinking to themselves, “I want to do x, y or z. But it’s not fair to my family” or “it’s not fair to my mother,” “it’s not fair to my children.” Or, “it’s not fair to my neighbors,” what would you say about sacrifice? CM: I think especially for Latina women and for many minorities, as women, we are raised to be quiet, to be obedient, to want to be a good wife. From the time that you’re a young girl, people build this peanut gallery of insecurity in your head. So, when you think, “Oh, I want to be a photographer” your peanut gallery tells you that you shouldn’t, that it’s not for women. What you have to do is, you have to silence your peanut gallery. I imagine my peanut gallery in my head, and I walk up to a cliff—and I shove ’em over. Because if we listen to those voices in our head, we’re definitely going to stay home, afraid of going to the door of adventure and career and- you know, sometimes it’s scary, of course, but I know that when I’m a little frightened, that I’m in the right place. Because, that’s where I make the pictures that really matter to me. As women, we have to learn to silence our peanut gallery. CM: I am a Mexican woman from a small town, you know? And I made it happen. I made it work. So, if I can, anybody can. CITA: We are ecstatic that you’re going to be here and that we’ll get to see you in person with all of the photographs and stories that you’re bringing with Standing At The Waters Edge. We’re really anticipating the talk that you’re bringing here, Cristina. The audiences here are really friendly, they love the Nat Geo series, so it’s going be a very receptive audience. We have great kids who ask wonderful questions at the end. It’s usually a lot of fun for Nat Geo speakers to be here. CM: Awesome. Well, I can’t wait. I’ll see you there in a few days. Internet musical parody sensation Randy Rainbow launched his life in musical theater right here on Straz stages when he was a high school Thespian. As many, many, many, many, many high schools in Florida know, this week is State Thespian Week, when almost 8000 students, teachers, chaperones and judges descend on The Straz and elsewhere in downtown Tampa to compete for top distinctions in this distinguished drama festival. It’s 1999. President Clinton is impeached, acquitted then cited for contempt of court. The dot-com bubble looks eternal. Joe DiMaggio dies, the Yankees win the pennant and Carolyn Bassette Kennedy and her husband, John F. Kennedy, Jr., perish in a plane crash. The United States wins the Women’s World Cup (the year we all learn the name Brandi Chastain), and the Dow Jones closes at an unprecedented 11,410. Somebody buys the last New York City Checker cab for $135K at auction. It is the year of the Columbine High School massacre and the highly publicized hate crime against Wyoming man Matthew Shepard. 1999 is the year three white supremacists are convicted of felony murder for the lynching-by-dragging of John Byrd, Jr. Unemployment is at a 29-year low. George W. Bush announces he will run for President. A senior in high school from Plantation, Fla., stands alone on the Morsani stage. He sings his heart out in the number he’s prepared for the Florida State Thespians. He wins for solo musical and, later, with his best friend, an award for comedy scene. That 17-year-old, defying the world with musical theater comedy, is Randy Rainbow. First of all, Randy Rainbow *is* his real name. Second of all, we had no idea he competed (and won, of course) during the Florida State Thespian festival when he was in high school until we had to interview him yesterday for The Straz’s “Behind the Persona” feature for INSIDE magazine. Be sure to check out that Q&A in the Spring/Summer issue out in April. Third of all, when we found out the Randy Rainbow, who just happens to be a superhero of the internet for defying the world with musical theater comedy, played the Straz stages as a 15-, 16-, 17-year old theater kid and winning, we had to write this blog. Randy Rainbow comes full circle when he returns to The Straz as an international internet sensation with his hilarious one man show on April 13 . Like many kids who are different, Randy survived school bullies, sharpening his comedy and musical theater chops to get through and graduate to pursue his dreams. In the meantime, Thespians and his annual high school trip to the state drama festival gave him something to look forward to where he was among friends doing his favorite thing in the world. Randy Rainbow, like so many artists, took his life experiences and the history he was born to and made his art. Now famous for his political musical parodies as a “woke show queen, comedian, actor, songstress, active-isht, Internet Sensation and TV Personality” [his Twitter description], Randy finds himself able to do something, to speak out and show up politically in visible ways. But would he consider running for office? FAME Academy at River Ridge High School won its first ever Critic’s Choice for One Act after students studied with touring Broadway actors from FUN HOME at The Straz. River Ridge High School students with cast members from FUN HOME after the post-show talk-back at The Straz. SYNOPSIS: The war survivors befriend each other while recuperating from tours in Vietnam. They tease, torment and often console each other as they face the uncertainties of returning to civilian life. This play, PVT Wars, comes to the TECO Theater March 14 at 10 a.m. as part of the annual State Thespians Festival held next week on The Straz campus and elsewhere downtown. The actors, two seniors and one junior from FAME Academy (Fine Arts and Musical Entertainment) at River Ridge High School won the school’s first-ever Critic’s Choice for One Act for PVT Wars, a distinction that gave them a direct shot at the state level Thespian competition and is a huge deal to be won at the district level. The young men—Shaun Memmel, Zachary Schumacher and Christopher Cavazza—had been working on PVT Wars when they attended a talk-back with FUN HOME actors at The Straz. Coaching the young actors on the “power of the pause” and using silence to dramatic and comedic effect, the Broadway touring stars made a craft-changing impression on the young men. Post-show talk-back with FUN HOME in Morsani Hall. The Community Programs Coordinator at the Patel Conservatory at The Straz, Heather Clark, facilitated RHHS’s participation after inviting the group to Teens Take Broadway, a special pre-show party for Straz patrons in their teenage years. 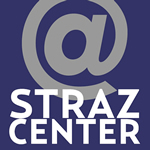 This exposure to the welcoming attitude of The Straz and its commitment to encouraging young people to pursue a love of the arts further encouraged the RHHS students to take advantage of what The Straz offers. Teens Take Broadway event at The Straz. River Ridge High School representing at Teens Take Broadway! For one whole week, almost 8,000 Thespians—a drama honors society—descend on The Straz and downtown Tampa to compete, meet each other, make friends and enjoy the opportunity to perform in one of The Straz’s gorgeous, state-of-the-art theaters. We wish the actors of PVT Wars well as they compete in the state festival, as we do for all the talented students coming here for another hectic, exhilarating, fun-filled, madcap week that is Thespians at The Straz.